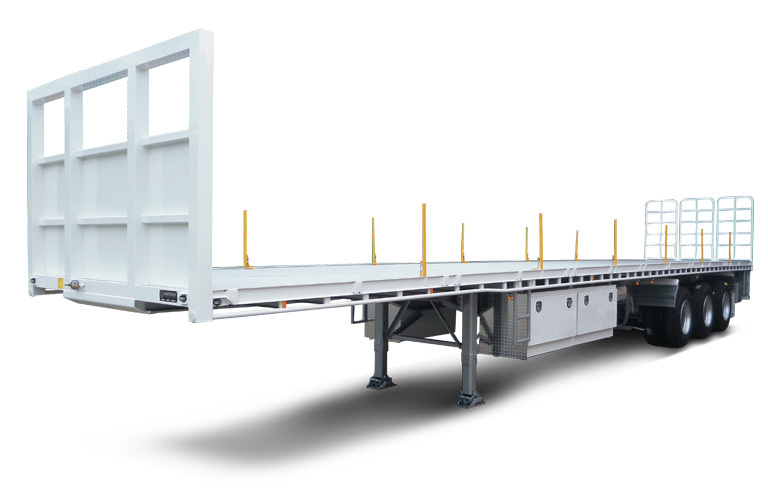 Flat decks, drop decks and extendable semi-trailers are available, built to meet your requirements. These heavy-duty trailers offer durability and ease of operation in fleets where non-standard loads are the order of the day. Built to carry machinery, bulk goods and over dimensional loads, our range of semi-trailers will perform. Grit blasted, primed and finished in two-pack Acran, Vawdrey trailers will look good while they earn you money. We build a range of lightweight steel and aluminium side gates to complement each trailer and to help you meet load restraint requirements.